Buy any V-Soy or Vitamilk bottled product. Purchase any 300ml bottle of V-Soy or Vitamilk, retain the original receipt as proof of purchase. Take a clear photo of the original receipt. Snap a creative selfie of your happy and fun time with V-Soy/Vitamilk. Log on to V-Soy microsite at www.smartsoysolution.com and follow the step-by-step instructions on how to upload your photos to enter the Grand Contest. 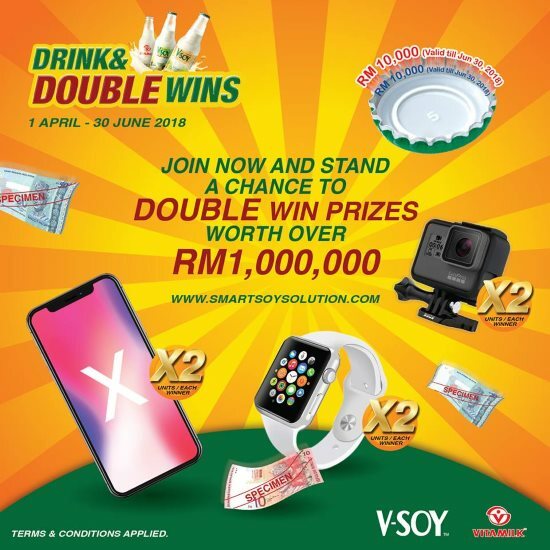 Visit V-Soy Drink and Double Wins Contest page for more details.